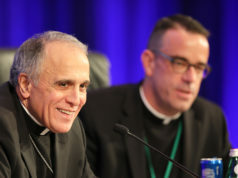 ROME — Jesuits are called to face the challenges of today’s world and contribute toward “reconciliation among human beings and, at the same time, a reconciliation with God and creation,” the newly elected Jesuit superior general said. A member of the Jesuits’ Venezuelan province, Father Sosa was elected Oct. 14 after four days of prayer, silence and quiet one-on-one conversations among the 212 voting delegates gathered in Rome for the 36th General Congregation of the Society of Jesus. Countries like Father Sosa’s native Venezuela, which is facing the worst economic crisis in its history, have adopted economic and political models “that cannot sustain the needs of the people,” he said. “If you are in any location, your temptation is to see that the most important thing is to work there. 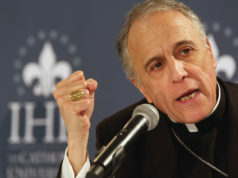 But there is somebody in the church that has that overview, and can say, ‘No, that is very important, but I need you in another part of the world,’“ Father Sosa said. “The idea is to be an organization — the Society of Jesus — that can help the church when, where and in doing what the church needs,” he said.